While not every game in the Nintendo DS and Nintendo 3DS lineup has fully utilized the second screen, no series has better or more consistently emphasized the possibilities than Etrian Odyssey. Playing to the insatiable nerdiness of building a detailed map while you explore dungeons, no other series speaks to the inner Dungeons & Dragons player in me to the same degree. 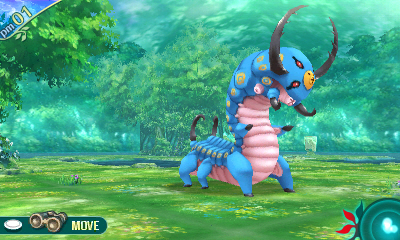 And, in that sense, Etrian Odyssey V: Beyond the Myth is a continuation of the niche-but-loyal lineage. But, just like it is a continuation, the latest iteration also takes some major steps away from its roots in a refreshing way. For those of you unfamiliar with the Etrian Odyssey series, here is a quick overview. In the series – with each title being a self-contained, standalone story – the player is tasked with exploring dungeons, going on fetch quests, and building a guild of competent heroes with an ancillary story in tow. 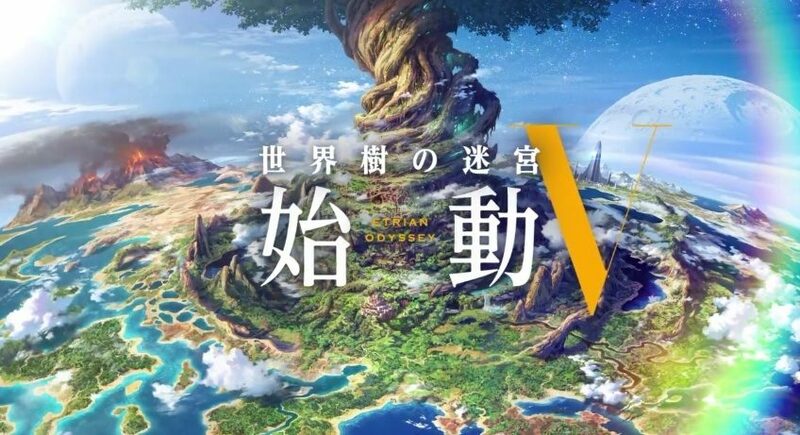 And while there are a ton of games that will boast the same features, one thing sets Etrian Odyssey V: Beyond the Myth apart: map making. No, I’m not talking the ever-popular stage creation being tied into many games. As the main player explores through the various Stratums of dungeons, they use their Stylus and bottom screen of the 3DS to physically mark their surroundings and create a full-scale map of every floor. And while on paper that may sound like busy work, this tiny mechanic plays to the meticulous playstyle of the typical RPG and dungeon crawler fan and adds substantial depth to the game. 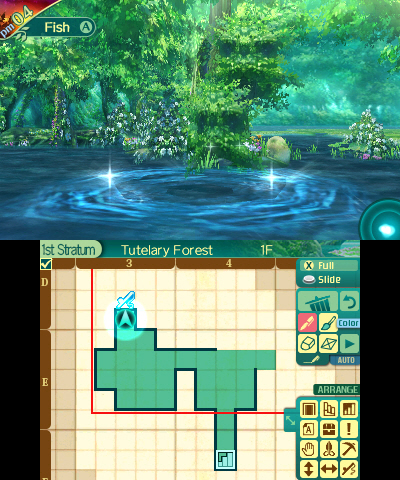 Of course, anyone familiar with the Etrian Odyssey series is well aware that creating the map is by no means as simple as walking over certain locations. Along with showcasing the path, players are encouraged to mark spots where they can harvest for materials, catch fish, avoid traps, or begin solving environmental puzzles. Towards the end of each stage, a completed map looks like a way-point riddled open-world environment… until you have to start fresh at the next floor. 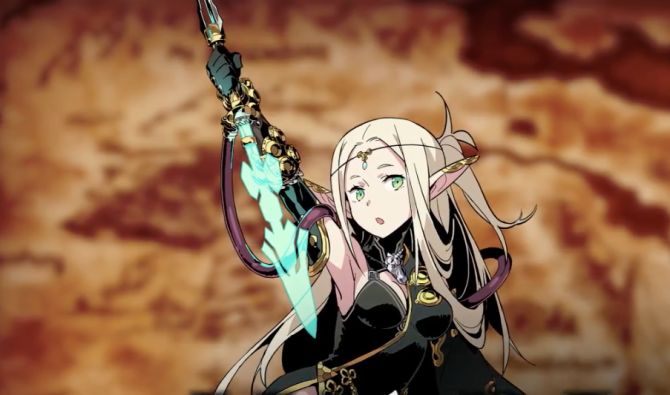 But that introduction is more for newcomers to the series – how does Etrian Odyssey V: Beyond the Myth compare to people returning to the series, and what does it add to the equation? Quite a lot, for better or worse. 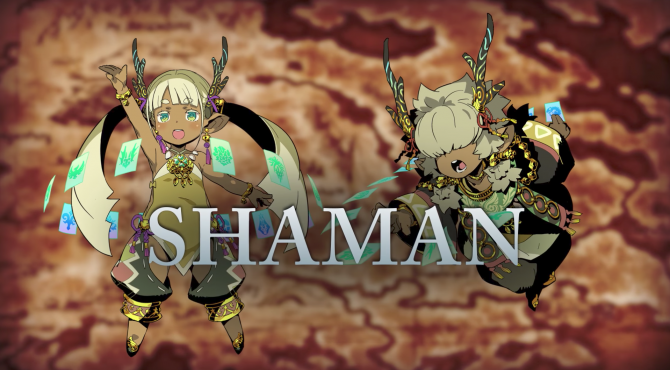 The main aspect of Etrian Odyssey V: Beyond the Myth focuses on player customization – a large departure from previous entries, especially the Untold re-makes with the more directed characters and storylines. In the newest version, players will get to pick between four different races and ten different classes – each of which has unique race and class-based skill trees. The first few characters you create will have their classes limited by their race (which was an initial disappointment); however, that handicap goes away entirely after the first main objective. After creating the DualShock Guild, I appropriate staffed up my party with a Harbinger (scythe-wielding badass), Botanist (healing and status duty), Warlock (AoE elemental damage), Rover (long-range archer class), and Dragoon (defense duty) – a well-rounded team if you ask me. More importantly, each and every character had wide options for character designs, customization, and voice options. More than ever before in an Etrian Odyssey title, I felt like I had control over creating my team. 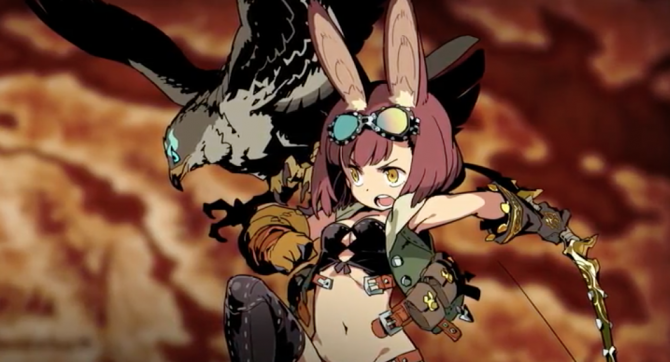 After getting off a brief – yet steep – difficulty hump in the beginning, Etrian Odyssey V: Beyond the Myth is a sturdy and capable dungeon crawler. The turn-based, RPG gameplay should be easy to pick up for anyone who has played similar games, but it focuses on a dual-line gameplay. Both your Party and the enemies will split up into a front and back line – it is up to you to strategically place people where they are best implemented. For instance, sticking the Botanist in the back was a must given his low Defense and susceptibility to one-shot deaths; meanwhile, my femme fatale Harbinger dominated in the front row thanks to her heavy Attack skills. 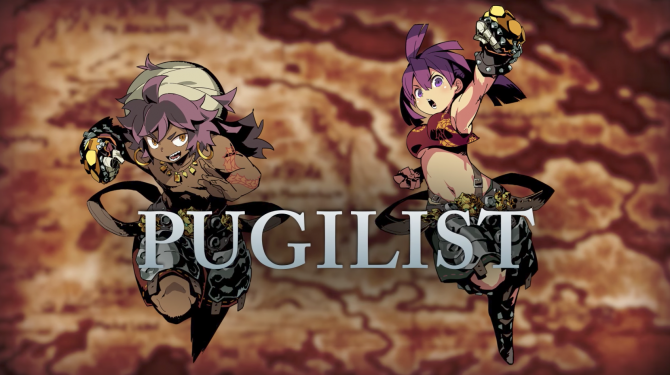 With all that said, there is nothing that will fundamentally rock the foundation of turn-based dungeon crawlers or the series with Etrian Odyssey V: Beyond the Myth. But no one is saying they need to – when it’s not broke, why fix it? Once you get into the groove of gameplay, it is pretty hard to get out. 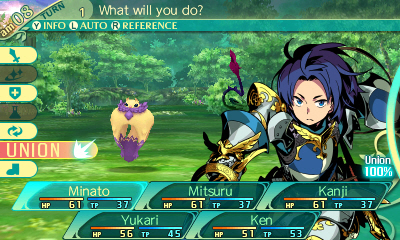 Added with Etrian Odyssey V: Beyond the Myth adds some more Dungeons & Dragons-like scenarios to the mix, scattering “choose your own adventure” like prompts around the Stratums. For instance, in one area early on you hear some nearby enemies in the distance – you are asked by the team whether you should sneak away and avoid the fight, or simply ambush them. Picking the latter, I was told that they heard my foot-steps coming up and took me on in battle; however, chances are if I snuck away they would have taken the opportunity to ambush me instead. These additions feel welcome, especially when you randomly find one peppered around the Floor. However, they can (at times) feel one dimensional. Often you are given the option to participate in some event (like taking a coin away from a turtle) or simply walking away. Because both success and failure reward and experience boost for the team, I quickly found myself always participating – even when I knew it was a trap. But when we were given more than one option to choose from, I would spend some time deliberating on best steps. 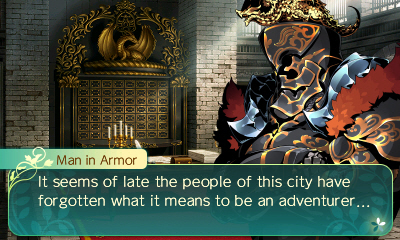 And while I really enjoyed the implementation of these new mini-adventures mid-map, they are by no means a substitute for the directed story that players have enjoyed in Etrian Odyssey Untold: The Millenium Girl and Etrian Odyssey 2 Untold: The Fafnir Knight. In comparison, Etrian Odyssey V: Beyond the Myth’s narrative is threadbare, and more of an afterthought to the rewarding gameplay loop. While I think there is merit to being able to create your own story from a game without it being spoonfed to the players, I wish that Atlus put equal effort into creating original stories and interesting characters for new, mainline entries. Beyond that brief bit of a criticism, I enjoyed the new atmospheres within the game. Even with the Nintendo 3DS’s growing limitations, the score and visuals were both colorful and fitting. I frequently found myself humming along to the background music (though I would be hard-pressed to find one that stands out) and the enemy design ranges from charming to dynamic. As a final note, I recommend everyone – whether you are set on buying the game or not – download and play through the demo of the game in the Nintendo 3DS eShop. Mirroring the growing trend, save files from the demo is ported over to the full release and it gives you a much better impression on how the game plays – even more so than my review can likely give.